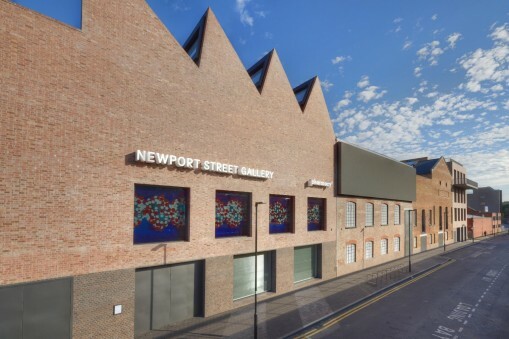 Damien Hirst’s Newport Street Gallery has opened in south London with the aim of making the artist’s personal collection of over 3000 works of art accessible to the public through a series of curated exhibitions. We take a look at the inaugural show featuring works by the British painter John Hoyland. Damien Hirst’s latest venture, Newport Street Gallery in Lambeth, south London, has opened to the public with Power Stations, an exhibition of paintings by the British abstract painter John Hoyland (1934–2011). The vast new space, designed by Tate Britain architects Caruso St John, encompasses five buildings. Hirst will use the gallery to exhibit work from his personal collection of art and artefacts which he has been acquiring since the late 1980s; the ‘Murderme’ collection is currently said to contain over 3000 objects. Hirst says he now wants the collection to be experienced by as many people as possible, so admittance to the gallery – created from a series of former workshops that once housed scenery painting studios supplying sets to London theatres – will be free of charge. Hirst’s collection is a diverse one: it includes works by a number of his YBA contemporaries such as Tracey Emin, Sarah Lucas and Gavin Turk, as well as by big name US artists such as Jeff Koons and Richard Prince. The previous generation of British artists is represented through works by Francis Bacon and Richard Hamilton, as are modern European masters such as Pablo Picasso. And while Hirst’s penchant for historical artefacts such as natural history specimens, taxidermy and anatomical models comes as no surprise, perhaps less well known is his interest in indigenous Pacific Northwest Coast artists such as Reg Davidson, Robert Davidson, James Hart and Don Yeomans, all of whom are included in the collection. For the first exhibition at the new gallery, Hirst is showing works by Hoyland from 1964-82, a pivotal period that saw solo exhibitions of the painter’s work at the Whitechapel Gallery in 1967 and the Serpentine Gallery in 1979. 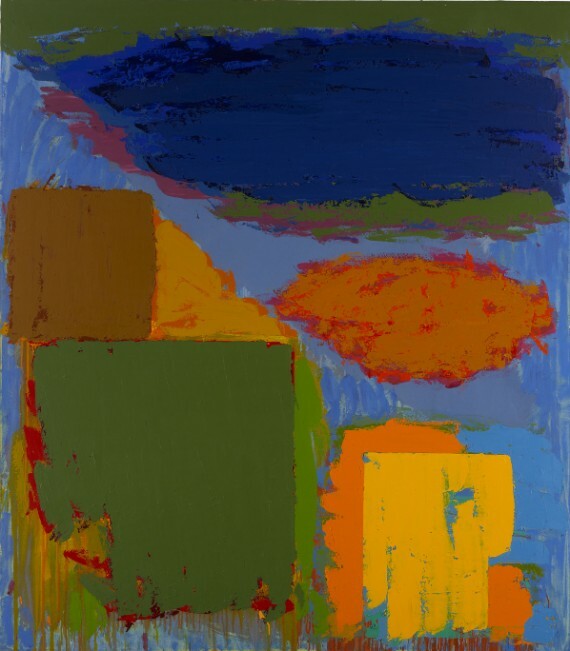 In 1982, Hoyland won the coveted John Moores Painting Prize. Grouped in loosely chronological order, the exhibition opens with Hoyland’s quasi-geometric ‘colour-field’ paintings of the 1960s. Often large in scale, these works were created using washes of intense colour that directly stain the surface of the canvas. 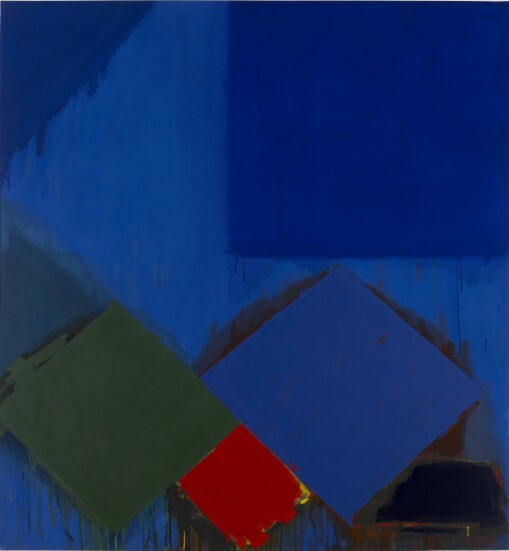 During this period, and inspired by a trip to New York where he saw the work of Hans Hofmann, Hoyland began to shift away from a formal, non-referential abstraction towards a more instinctive treatment of colour, form and mood. In the 1970s and ’80s his paintings evolved further to became more deliberately evocative, with richly impastoed surfaces and spatially complex compositions reflecting his engagement with what he saw as the mutually responsive acts of painting, looking and feeling. 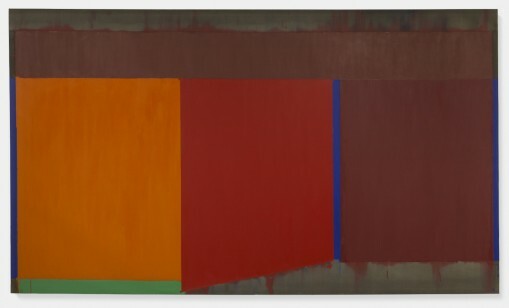 This is the first retrospective exhibition of Hoyland’s work in the UK since 2006 and Hirst believes the time is right to reaffirm the painter’s status as a major innovative force within the field of international abstraction. To see installation images from the opening day of the show visit a-n’s Instagram feed. A Q&A with… Abraham Cruzvillegas, Hyundai Commission artist – Richard Taylor interviews the Mexican artist who has created the first in Tate Modern’s new series of Turbine Hall commissions.